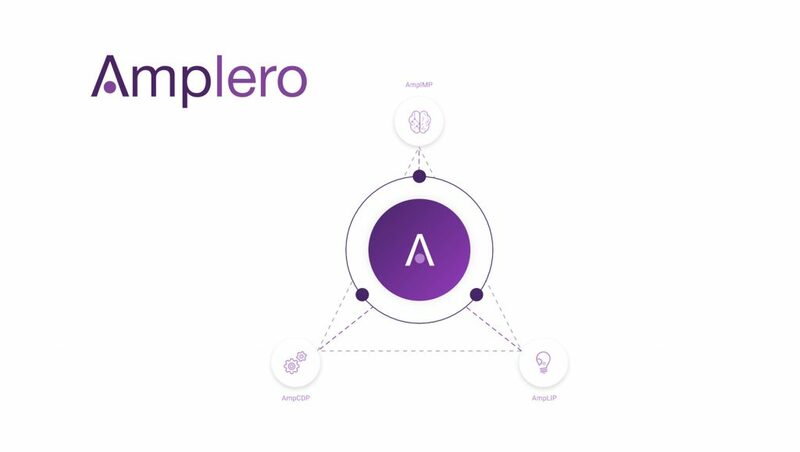 Amplero, a recognized leader in core artificial intelligence marketing technology, announced that it closed a $17.5 million Series B funding round co-led by Greycroft and Ignition Partners. Existing investors Wildcat Venture Partners, Seven Peaks Ventures, and Trilogy Equity Partners also participated in the round. Raising more than $25 million to date, the Amplero Artificial Intelligence Marketing Platform (AIM) is already used by a string of major brands, including Sprint, Virgin Mobile, Xbox, BECU, and DoubleDown Interactive. Amplero puts AI at the core of the marketing technology stack for business-to-consumer (B2C) enterprises, enabling them to optimize customer lifetime value at a scale that is not humanly possible. “Amplero launched in 2016 with a vision of leveraging artificial intelligence to fundamentally transform how machines and humans work in tandem to reinvent the modern customer experience. Partnering with top-tier investors like Greycroft and Ignition, this funding round places us in a strong position to continue our rapid growth as the leader within the artificial intelligence marketing category,” said Olly Downs, CEO, Amplero. Having repeatedly demonstrated significant impact on revenue and retention for marketers throughout the entire customer lifecycle and across verticals, Amplero will use the capital to scale its business and technology infrastructure to meet the demand from Fortune 1000 organizations for AIM technologies. Leveraging its key proof points across customer-obsessed industries including telecom, gaming, financial services, consumer software, retail, media/entertainment, and travel/hospitality, Amplero will significantly scale its go-to-market strategy through direct sales and the development of key partnerships. “Brands investing in AI for marketing are poised to thrive in this competitive landscape. As more companies are faced with a massive proliferation of data and increasing demands for personalized experiences from consumers, Amplero offers a solid solution to better understand the customer. We look forward to partnering with Amplero as the company continues to quickly gain market share from traditional marketing cloud players and point solutions,” said Bob Kelly, managing partner at Ignition. “Across nearly every vertical, we’re seeing a shift where ongoing monetization and customer relationships have replaced the traditional, transactional model. Essentially, brands that aren’t focused on cultivating long-term relationships and customer value metrics are at risk from category outsiders like Amazon, Google, and Facebook—at any point. Amplero’s ability to optimize toward long-term metrics through AI is a business advantage for enterprise marketing teams,” said Mark Terbeek, partner at Greycroft. International Data Corporation (IDC) forecasts worldwide revenues for cognitive and artificial intelligence (AI) systems will reach $12.5 billion in 2017, an increase of 59.3 percent over 2016. While artificial intelligence is driving change at every level of business, marketers are leading the charge, according to Forrester’s Q2 2016 Global State of Artificial Intelligence Online Survey. The demand for AI in marketing reflects key changes in consumer behavior and data proliferation, as customers fluidly interact with brands across channels, industries, and devices—all in real-time. As marketers increasingly seek to deliver personalized, highly contextual experiences, they struggle to close the gap between the vortex of available data, new channels of engagement via mobile and IoT, and ever-evolving customer behavior. To address these challenges, the Amplero Artificial Intelligence Marketing (AIM) Platform leverages automated machine learning and multi-armed bandit experimentation to deliver highly contextual, cross-channel customer experiences across the entire customer lifecycle. To break through the “black box” challenges presented by most AI-driven marketing solutions, Amplero has pioneered and continues to develop its unique Learned Insights capability which provides human-centric transparency into both AI-driven campaign performance and deep-dive behavioral insights. With an intuitive reporting framework that delivers relevant insights and transparent, drill-down visibility for analysts and marketers, Amplero’s Learned Insights provides access to key learnings and attribution related to both short-term engagement metrics and longer-term business KPIs, without dependencies on data science or business intelligence teams. “With its ability to runs thousands of tests simultaneously and orchestrate decisions based on our entire customer data ecosystem, the Amplero AIM Platform optimizes our customer experiences and delivers deep-dive insights at a scale that’s not humanly possible. The numbers speak for themselves. After implementing the Amplero AIM Platform, we saw a 10 percent year-on-year increase in prepaid ARPU, resulting in millions of dollars in incremental revenue over only 10 months,” said Angela Sigley-Rittgers, CMO of Sprint’s Prepaid Brands. “Optimizing the use of customer data to drive meaningful 1:1 player interactions is key to increasing engagement in the gaming industry. Using the Amplero AIM platform, we’re running more than 300 unique marketing experiments based on thousands of data points each day. This gives us the ability to provide each player an optimal experience and map a dramatic rise in the percentage of incremental revenue directly attributed to our marketing efforts,” said John Clelland, CMO at DoubleDown Interactive.